Something a bit more subtle to start the new page and a comparative rarity in it's own special way - my 7A38-728A SAA128J. Here is my "less subtle" 7a38-7289 from July 1988. Like Paul's above, it is mint and original. Contributions from members old and new are always welcome, Achim - even if they're slightly out of date. It's just a pity that you chose to post the best shot - with the correct day / date showing in the SCWF WRUW thread instead of here. Another superb 'jeans pocket shot' which would have been so much more appreciated here. Try and remember us next time. Bit of a grey start to this morning, so I thought I'd 'colour co-ordinate'. 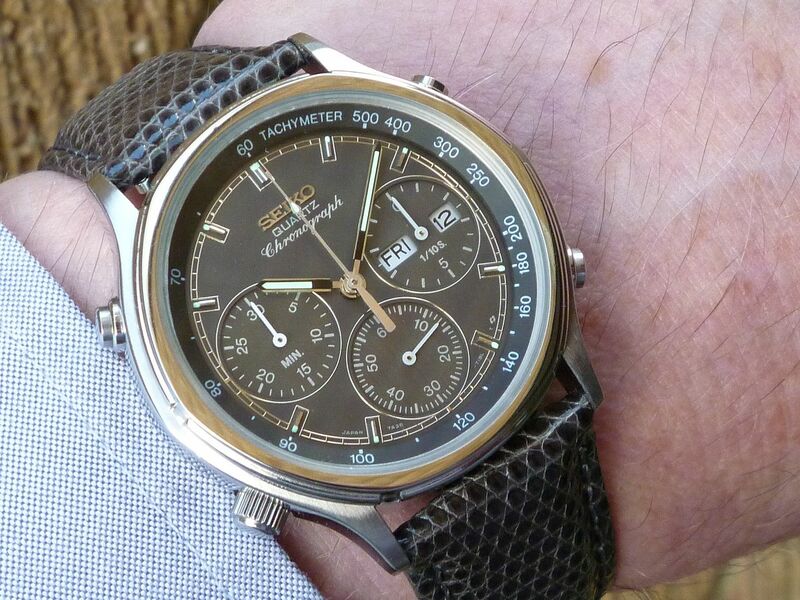 Stainless 7A38-7260 SAA097J on dark grey lizard strap. yes, I´ve done a lot of pics two days ago. 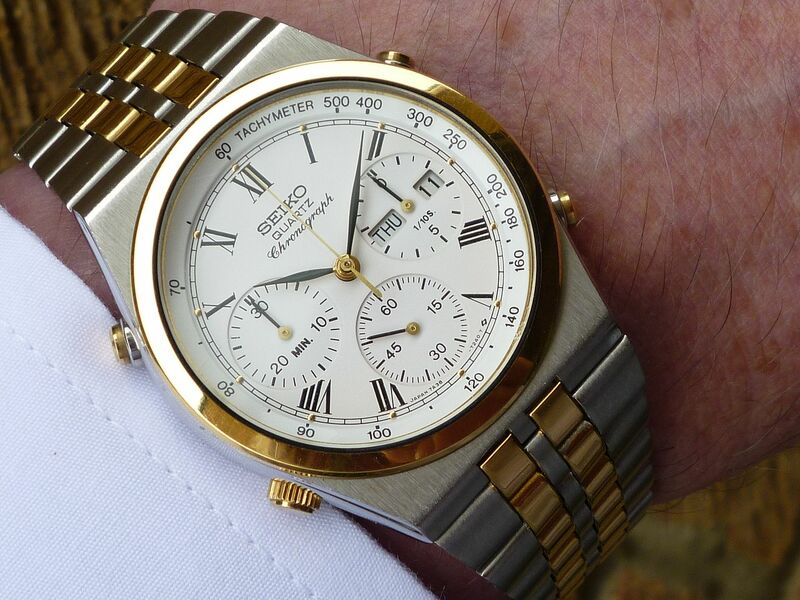 The watch just arrived from my watchmaker with the original bezel. The "jeans pocket shot" is a bit out of focus, but you´re right, it shows the general impression with the grey bezel very good. 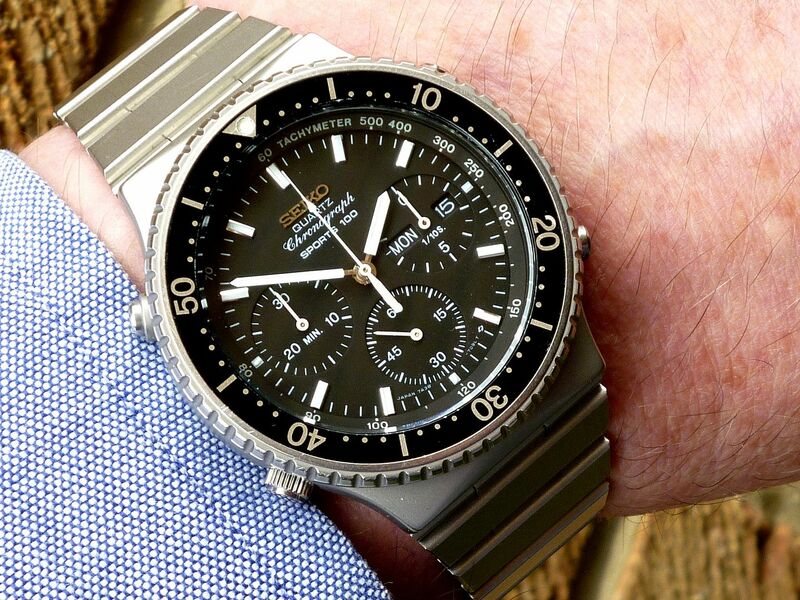 With the black minty inlay the watch was looking like new but the bezel was too dominant; almost like the bezel of a diving watch. 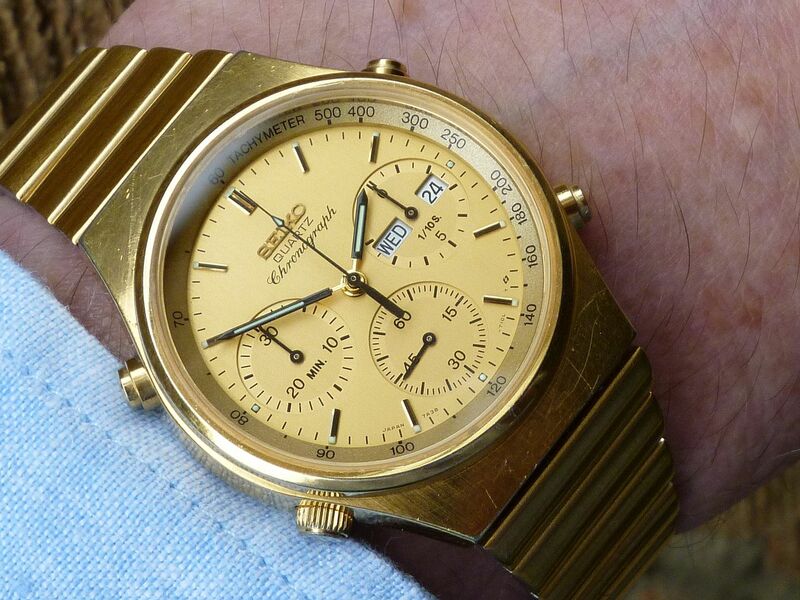 I'd normally be wearing one of my favourite 43mm Yema Spationaute III's on a Saturday - 'cos I love 'em. 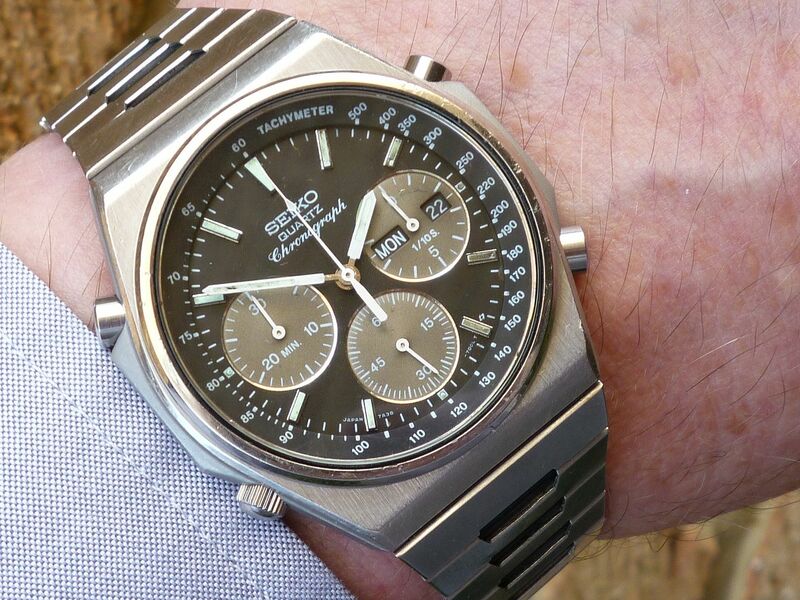 But seeing as I'm trying to be good and only post wrist shots of Seiko 7A38's for a whole month, here's the next best biggest thing: my 7A38-6060 SAA071J. 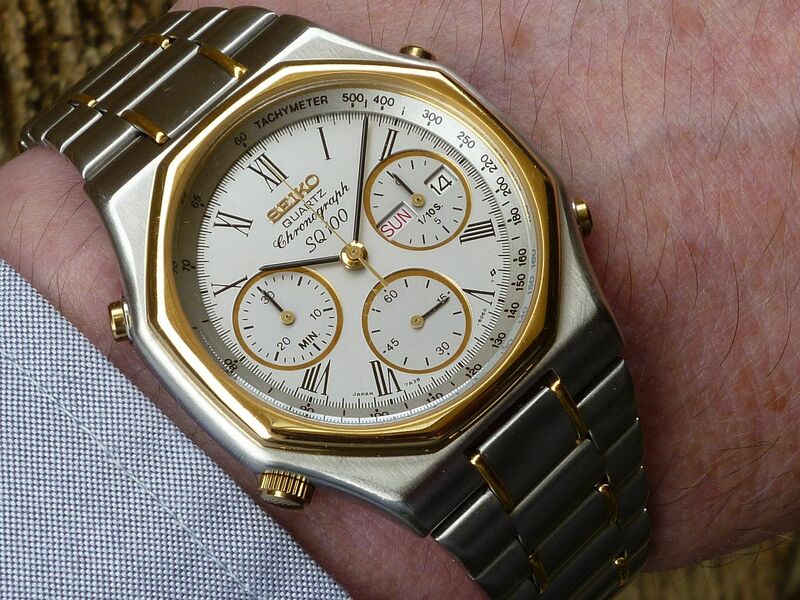 Thought I'd give this one an outing today - another 7A38 which I haven't worn in ages. My 7A38-6080 SAA088J. Two weeks into my self-imposed abstinence and I nearly fell off the wagon today. 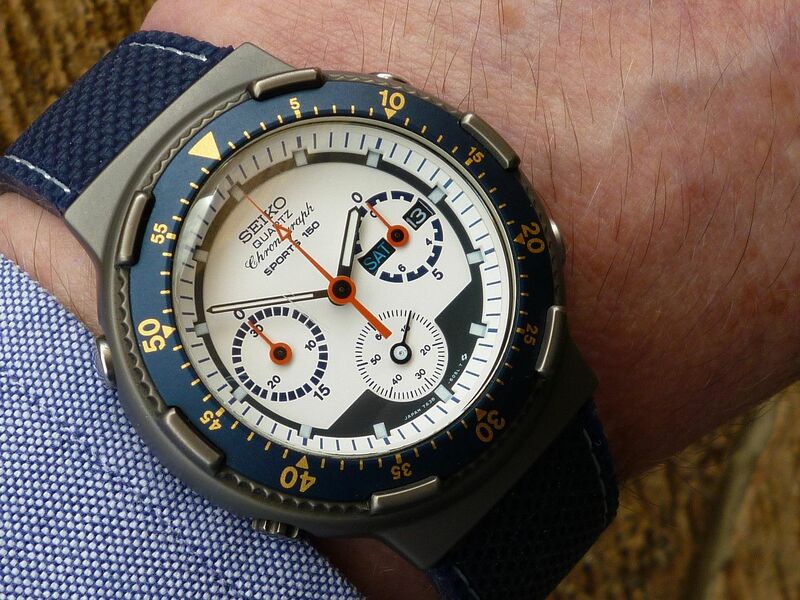 Particularly with the arrival of my two NOS Orient J39 Divers this morning. Fortunately they need a slight cleaning before I take any any close-up / wrist shots of them. So perhaps readers will forgive me for (re)posting this subtly modded 7A38-7070 Franken, which I'd got out of another box to compare with them. 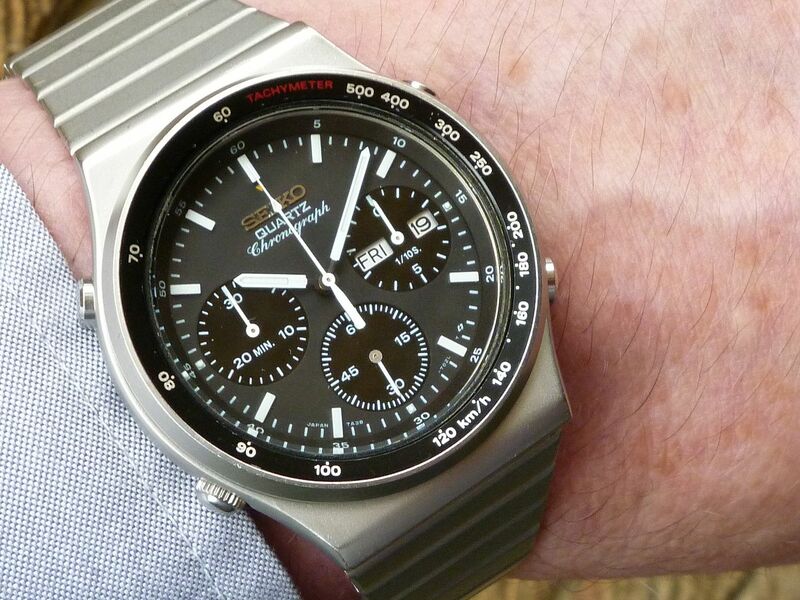 As I've written before, it's fitted with the all-black 709L dial out of a 7A38-7080 and hands from a 7A28-7049 (sample case). Another not quite so subtle self-built Franken this afternoon. 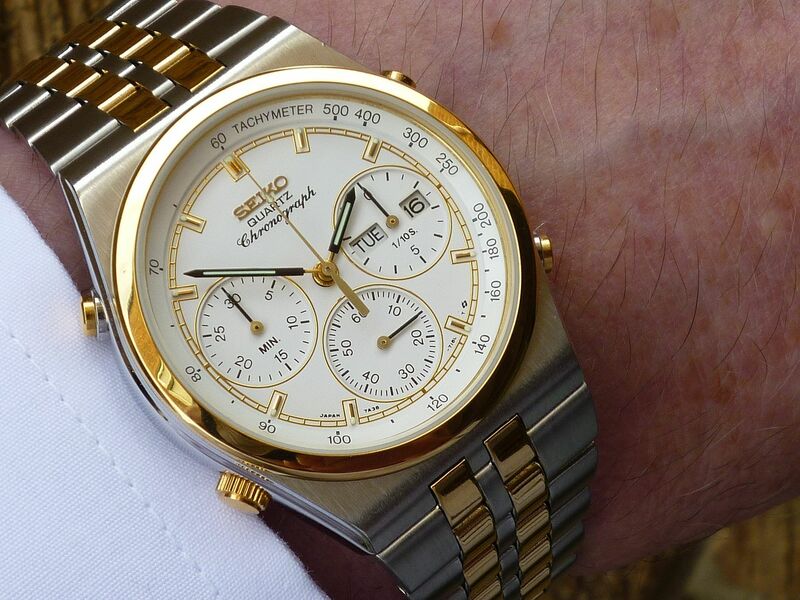 It uses the 718L dial out of a 7A38-726A in a two-tone 7A38-7289 case and bracelet. Hands fitted are bit of a mixture. Another of my favourite little mods is the white nylon Sternkreuz crystal gasket, which helps give the impression of making the face look bigger. The bracelet's also fitted (for comfort) with a 5-hole adjustable SQ clasp. Built it as the by-product of another failed Franken experiment 4 years ago. Liked it and kept it. Just don't wear it often enough. Finally I had enough time to replace the bezel insert and crystal on my latest acquired 7A38-7070. As I prefer the look of the polished edge hands I cheated a bit: I simply swapped the movement from my other 7A38-7070. 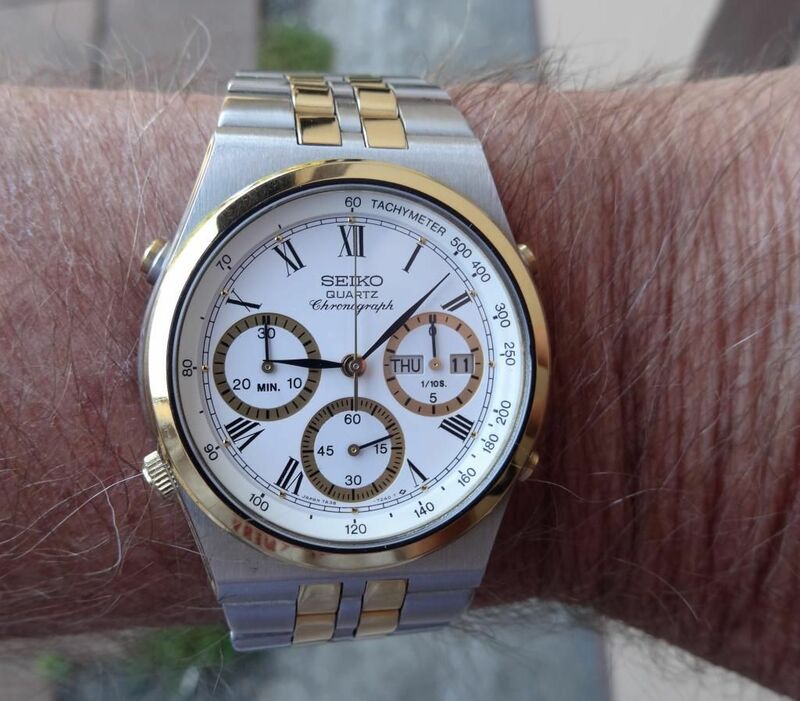 As the original crystal is not available anymore I tried Sternkreuz XMF 310.925 (Seiko 310W62GN00). Although it is only 1.65mm thick but I'm very happy about the result. After posting those couple of Frankens, I suppose I'd better get back on track. Many people's favourite 7A38 (included in my top 5) .... the 7A38-7029 SAA013J. 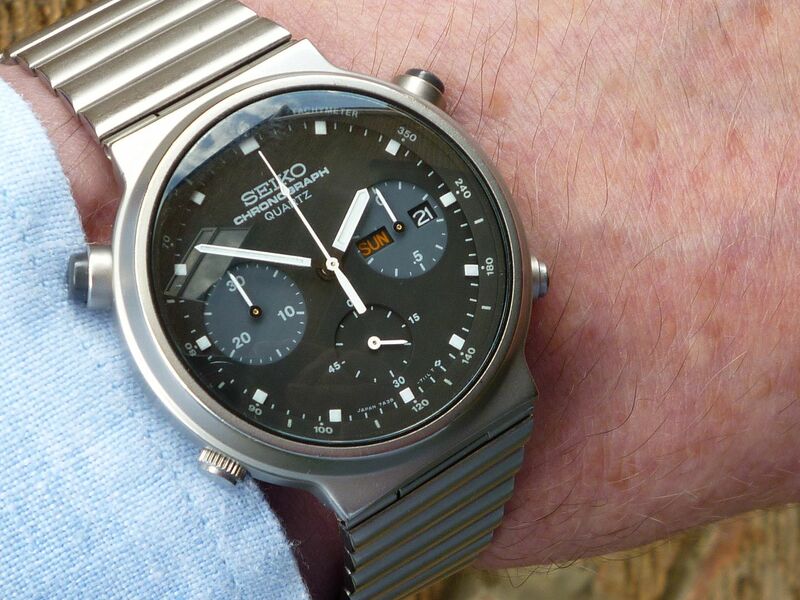 This was my very first Seiko 7A38 Diver - a 7A38-7050. It was generously donated to my collection by Michael Rothe. I'm sure he won't mind my saying, but, as received, it was a bit of a 'beater restoration project'. Scratched and pitted crystal, badly graunched bezel and very short of bracelet adjustment links. I managed to get hold of NOS parts to rectify the last two problems, but the obsolete original crystal eluded me. So, for want of anything more suitable, I fitted a SKX007 crystal. 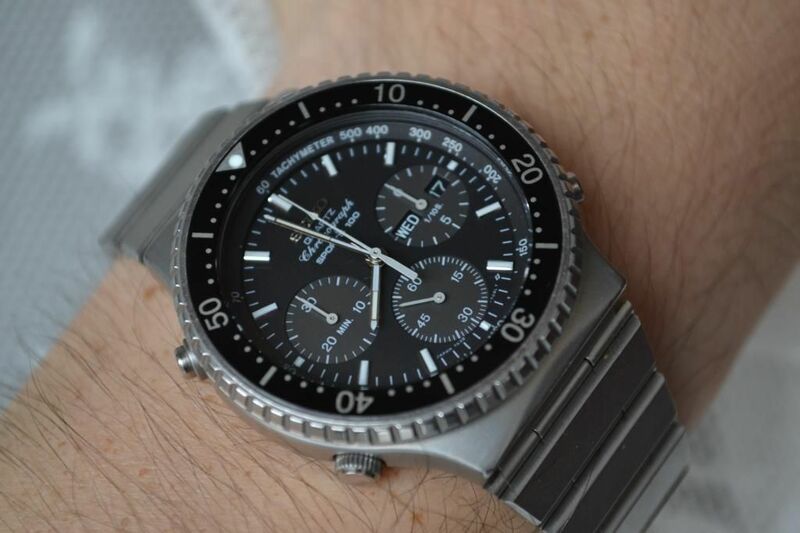 It's the correct dimensions: 31.5mm Ø x 2.5mm thick, but the polished bevel edge is rather larger than the original crystal's and creates annoying refractions of the Tachymeter scale. Reading about Arpad's recent tribulations with a replacement crystal for his 7A38-7070 reminded me I need to find a better substitute. Nothing is ever as simple as black and white. 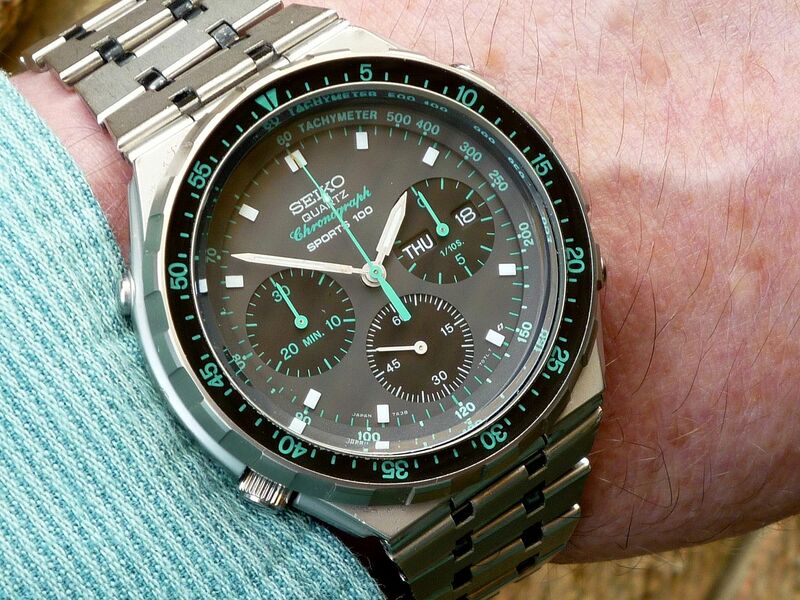 That old adage is certainly true of Seiko 7Axx dial colours. More like 50 shades of Grey. As indeed it is on this model. 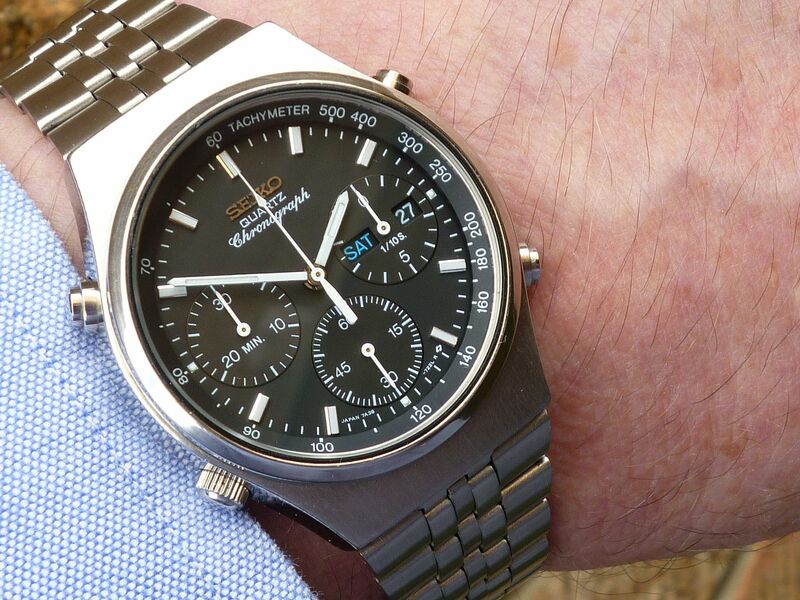 Although the dial colour is described as 'BLACK' on Seiko's database, only the sub-dials are pure black. 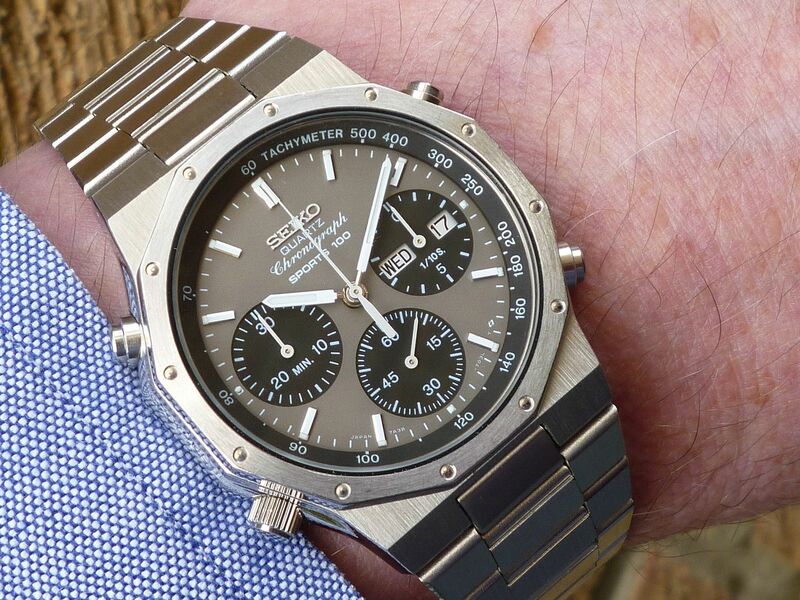 The main dial colour is Charcoal Grey. But you need the right sort of light - a dull overcast day, like this morning to capture it properly. This morning I've been wearing this 'second string' two-tone 7A38-7020, which until yesterday hadn't seen the light of day in months. 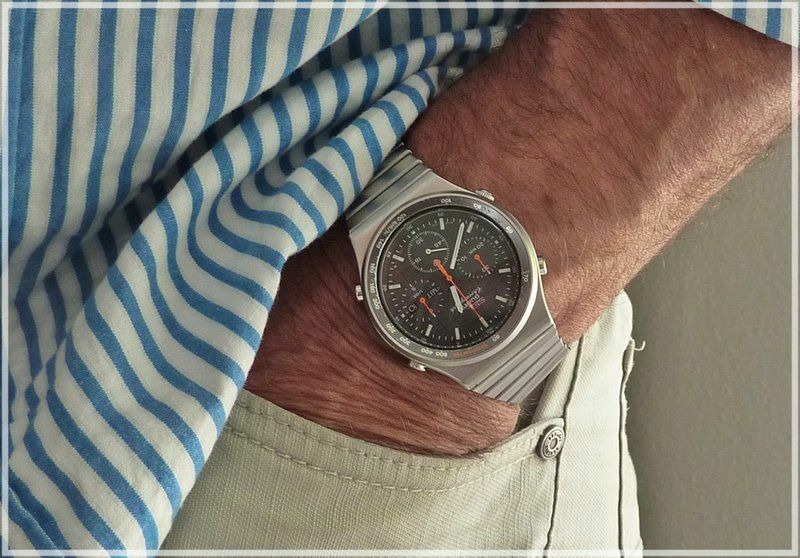 It's still keeping excellent time - that is unless you operate the chronograph. It's about to undergo a long overdue strip down. and unfortunately even on a mildly sunny day like today - all the unwanted reflections that brings with it. PS - Yeah, I know I bought this second one (with Daisuke's kind assistance) and the stated intention of robbing it of a few bracelet adjustment links (for my other almost mint example) and then selling it straight away on eBay. But you know how it is. Because even the scabby ones deserve an outing occasionally. My 'Bottom of the Barrel' Beater / Bitza 7A38-7000 SAA007J. 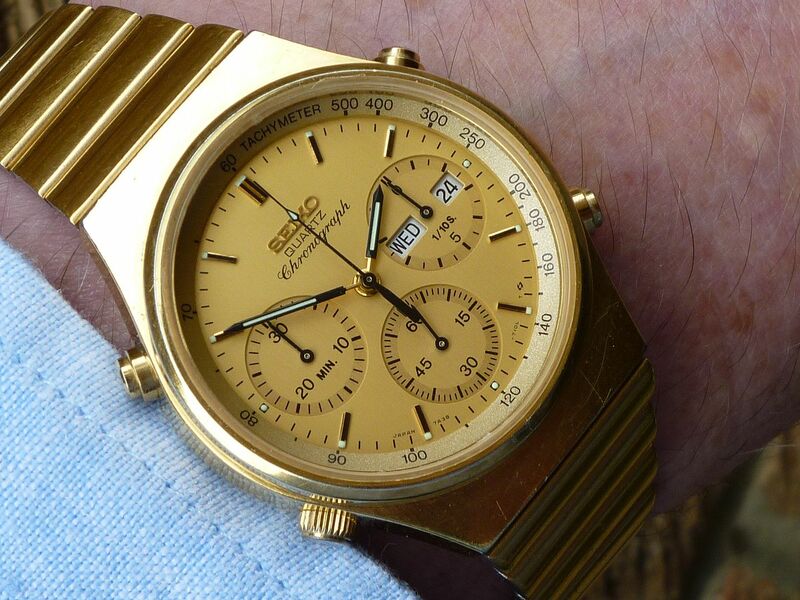 Here's a couple of slightly different shots of that 'cheapie' gold-tone 7A38-7190, which I posted in this other thread earlier today. Bit of a 'blast from the past' today. Not actually my original 7A38, but 'a second', or better make that 'third string' 7A38-7270 SAA093J. It's the middle of the three shown in my intro' post. Bought fairly cheaply in late 2010 - in need of some TLC and suitably re-furbished.